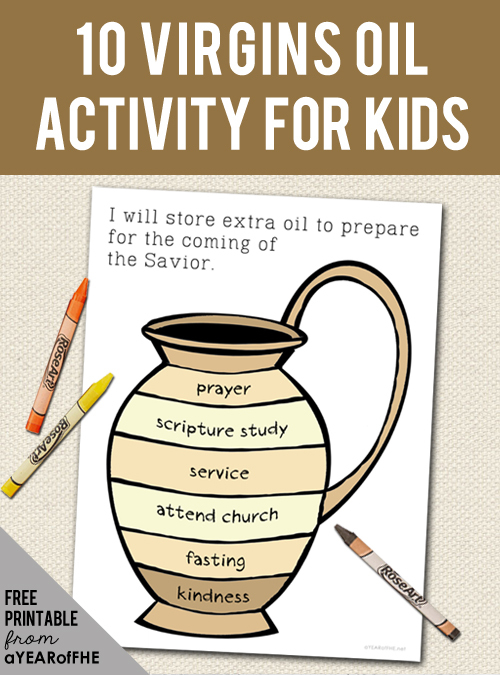 What You'll Need: scriptures, GAB 53: The 10 Virgins, GAK 238: The Second Coming, writing tools, Fill Your Urn with Oil lesson help, glue stick, salt dough (recipe below), toothpicks, scripture code activity, pen/pencil. 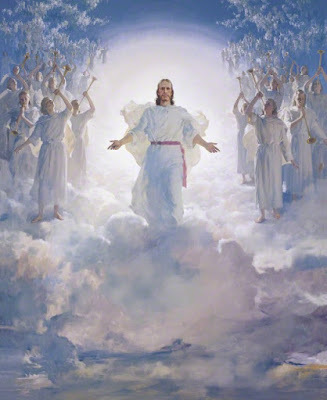 Quote: Keith B. McMullin - "Our duty as Latter-day Saints is to prepare ourselves, this earth, and its inhabitants for the Second Coming of the Lord Jesus Christ. Being prepared and being strong as the gospel teaches ensures happiness..."
When Jesus died and was resurrected, He promised that He would come again. Jesus could not tell us when He would come, but the scriptures tell us that it will be a glorious event. It will be a heavenly, happy time for us if we are prepared to meet Him. Because Jesus wanted us to know how important it is to be prepared, He told us a parable, or story. It is called the parable of the ten virgins, and it is recorded in Matthew 25:1–13. There were ten young women, or virgins, who were invited to a wedding supper. They had to wait for the bridegroom to let them in, but none of them knew when he would come to open the door. 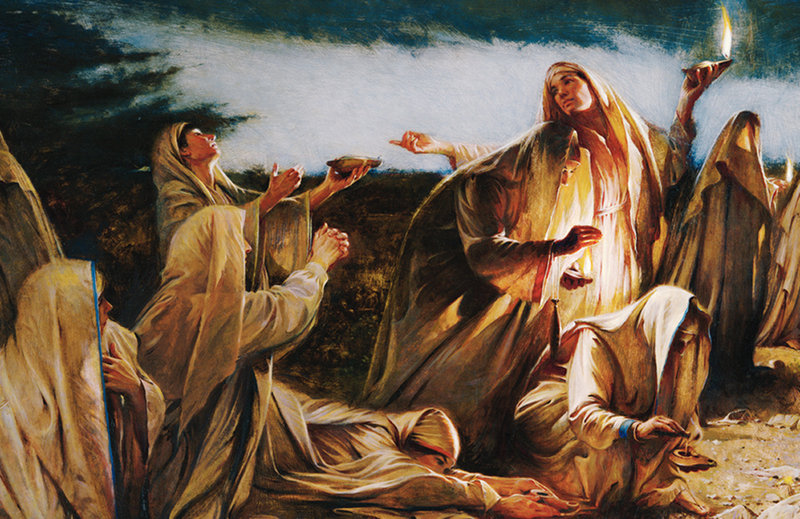 The young women brought oil-burning lamps to give light so that they could see. Five of them were wise and not only filled their lamps with oil but also brought extra oil so that their lamps would burn for a long time. The other five young women were foolish. They did not bring enough oil. Before the bridegroom finally came, the oil in all the lamps had burned away. The five wise women put their extra oil in their lamps and lit them. The five foolish women had to leave to buy more oil. By the time they returned, the bridegroom had opened the door, let the wise young women in, and closed the door again. So the five foolish young women could not go in to the wedding with the bridegroom. Jesus is like the bridegroom. We do not know when He will come again. But if we prepare like the five wise women in the parable, we will be ready and happy to meet Him when He comes. The best way we can prepare for the Savior’s coming is to accept the teachings of the gospel and make them part of our lives. We should live each day the best we can, just as Jesus taught when He was on the earth. We can look to the prophet for guidance and follow his counsel. We can live worthy to have the Holy Ghost guide us. When we are doing our best to obey the Lord's commandments we will look forward to the Savior’s coming with happiness and not with fear. 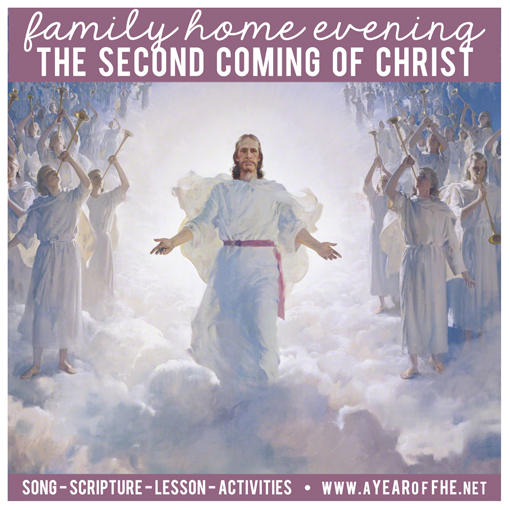 Bear your testimony about preparing spiritually for the Second Coming. Emphasize how wonderful it will be if we have been faithful and try our best. Share the confidence you feel when you obey the commandments. This is what lamps in the time of Jesus looked like. Create your own lamp with salt dough. NOTE: Dough may be made a day or two in advance. When not in use, wrap well in plastic or store in an airtight container. - Have children create their own small lamp. Try not to let these get too thick or they will take too long to dry. - After basic lamp shape is made, let children use a toothpick to create designs in their lamps. - Place on cookie sheet and bake at 200* until completely dry. This may take a few hours. The next morning kids will have dried lamps of their very own. Thank you every much for this months theme. Thank you for your blog! The FHE lessons are always great! I just found your blog and I'm in love. Thank you so much for making my life that much easier! Love this lesson! I didn't ever think of baking salt dough. My 3 year old will love this tonight!! Thank you! I've recently been called to be an Activity Days leader in my ward. Being a recent convert I really have felt at a loss and the other teacher does most of the teaching. 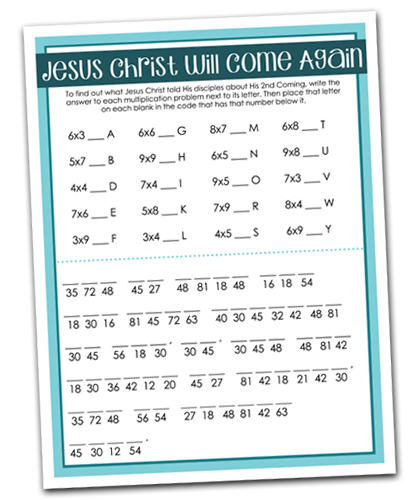 For August we are teaching about the 10 Virgins and I stumbled across your site. Thank you, Thank you, Thank you; I feel better educated and more prepared to teach thanks to you! Thank you for the printables and for the clear lesson. Using this tomorrow for a Valiant 9 lesson aid in primary. Appreciated! you are the reson i stay moron thank you soooo much and my kids do too! I have been using many of your FHE resources for our lessons each week lately, and just wanted to drop a quick comment to THANK YOU for sharing all these wonderful things, to help so many others (like me!) put together a nice FHE each week. Appreciated! Can you burn oil with a wick in the salt dough lamps, or are they just for art?